Growing up in rural New Hampshire, Emily lived in a community where she knew everyone, and was surrounded by animals and nature. Her upbringing paved the way for her interest in community engagement. While at Duke, Emily has worked on extensive research projects with specific focuses on rural poverty. “I didn’t realize I was poor until I went to Duke. My approach and response to this crazy transition was to research it, and bring rural conversations into the classroom,” she explained. 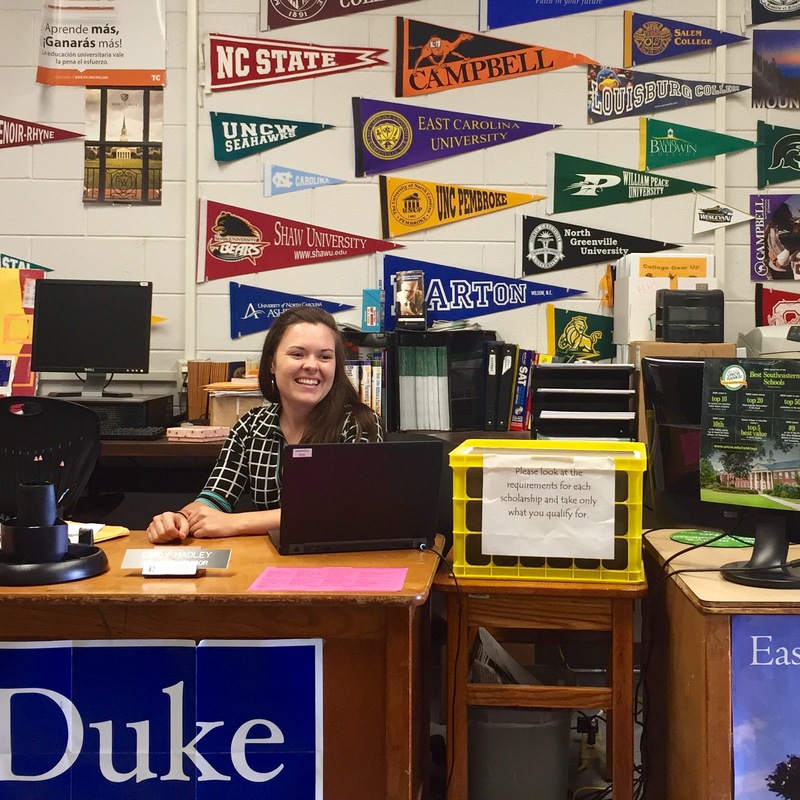 After graduating from Duke in 2015, Emily stayed in North Carolina and began working with College Advising Corps. “I work with students and we talk about their lives, their hopes, their dreams, and I help them find their path,” she said of her current work. Although she finds this to be incredibly rewarding, it’s only one of the many things Emily is involved in that motivates her to work within the social impact space. She’s currently an assistant coach for the cross country and track and field teams, where she’s able to work with her students outside of the classroom. “It’s been an incredible experience. Students are so different outside of school than they are in school, and this has been a great way to get to know some of them,” she explained. Although 96% of schools in North Carolina have tracks, Emily’s school is part of the 4%, leaving her team to practice in school parking lots and football fields. However, this hasn’t stopped her team from contending for the state championship. “Giving these students the chance to explore their ideas and talk to their peers about their challenges, is just as important as it is to compete,” she added. With much of her work focused on rural populations, Emily is looking forward to engaging with social change agents outside of her realm. “I’m excited to talk about different approaches for different populations, and take the chance to explore new ideas and learn from new people,” she exclaimed. Follow @em_hadz to keep up with Emily at the Gathering! Watch Emily's submission video here!